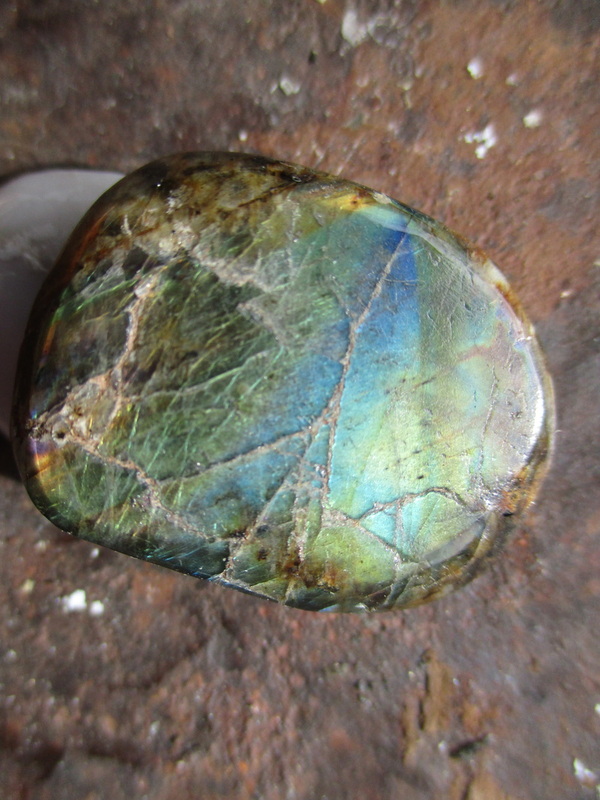 Labradorite is a variety of feldspar named after Labrador, Canada where the rock was first identified. 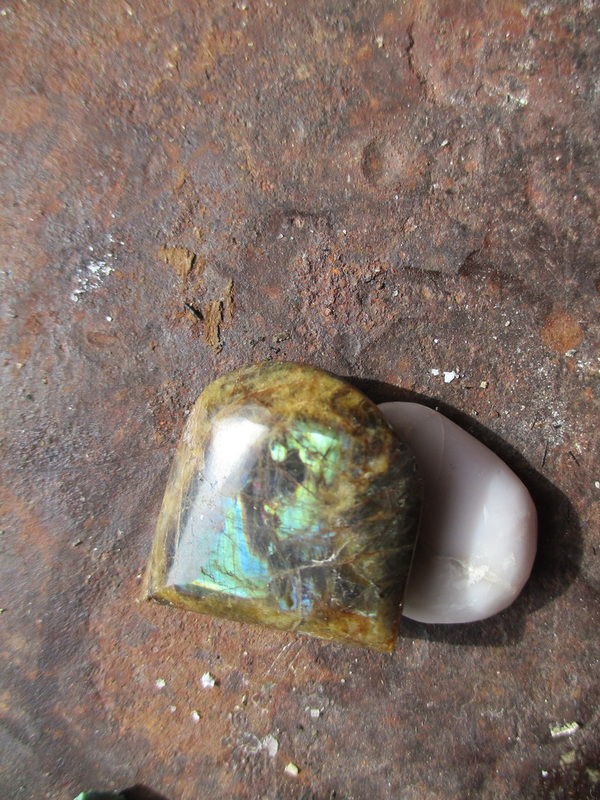 The example of a polished Labradorite Cabochon in the above photo displays the unique play of color that makes Labradorite collectable. Some varieties of feldspar are composed of thin layers of minerals aligned in a manor to defuse light at different spectrums, (similar to a prism) known as Schiller Effect, these layers are called Lamellar structures. Schiller effect in Labradorite is known as Labradorescence, the result of light diffraction within the lamellas intergrowths. 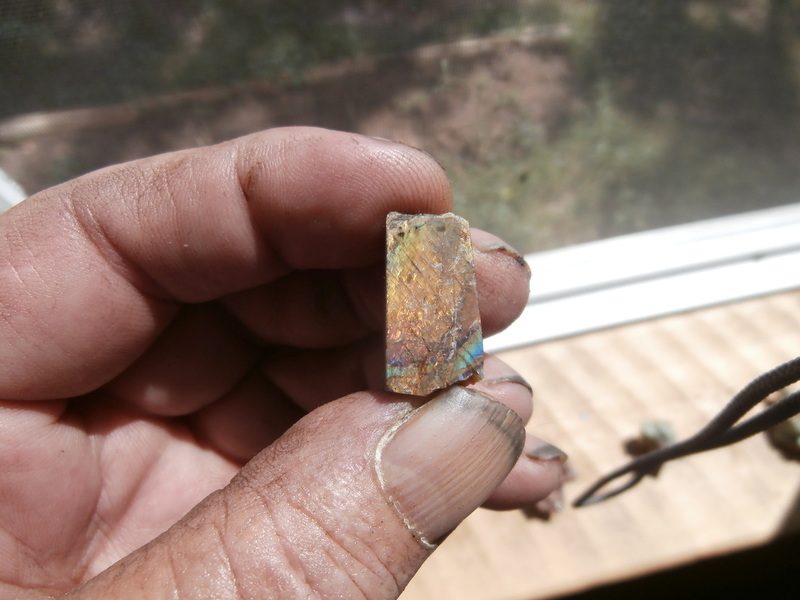 I found some cryptic information about Labradorite in Wyoming on www.gemhunter.webs.com created by Professor Dan Hausel, a polymath of rocks, martial arts, the stars, pencil, written word & public speaking is the recipient of many regional, national & international awards for geology, public speaking, art, education, teaching, martial arts & writing. While making other people rich, like most geologists, the author only received a salary even though my work (with others) resulted in discovery of more than 43 million ounces of gold (more than the Homestake Mine), the largest iolite deposit in the world, the largest iolite gemstones in the world. Author of numerous blogs on gemstones, gold and martial arts, contributed to nearly 100 books, and authored nearly a thousand papers, maps and abstracts. 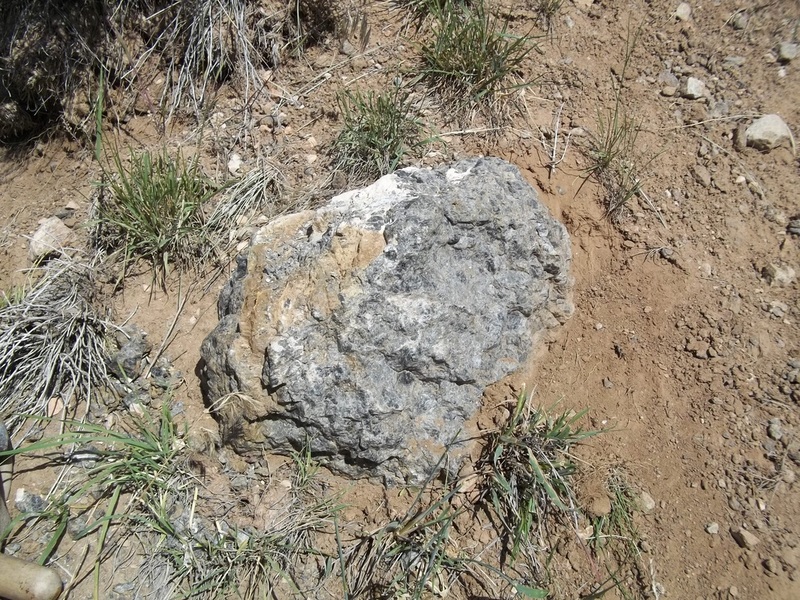 Following Dan's directions I found a large deposit of this beautiful mineral. 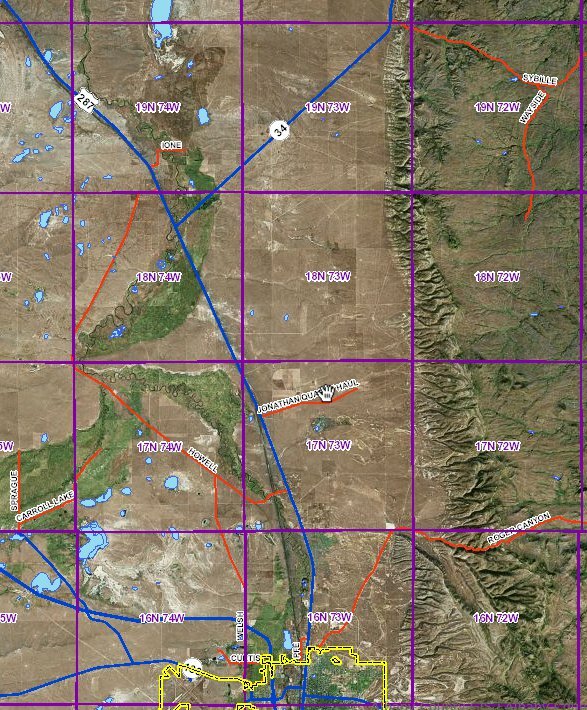 Directions: North on Highway 287 to the intersection of 287 and Highway 34, northeast on 34 to the first County road on your right - Albany County Road 34 aka Sybille Road. 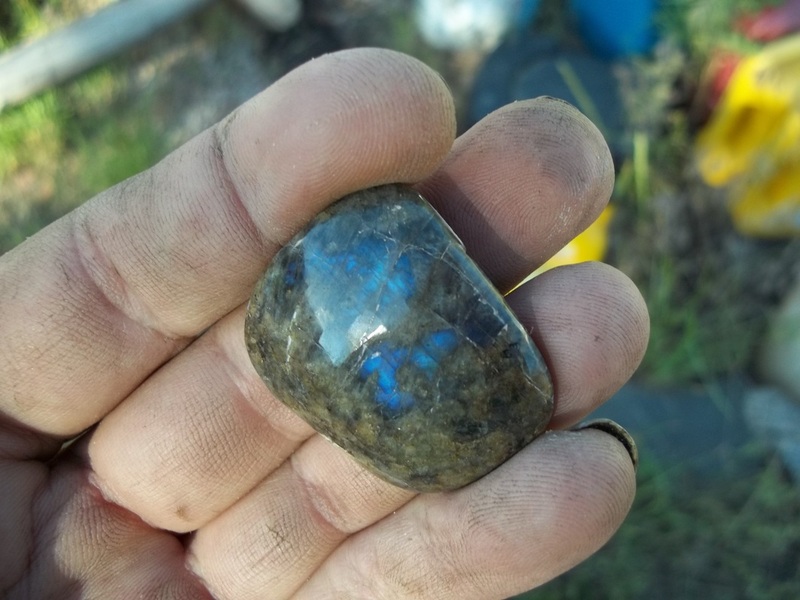 Follow the Sybille road on easterly, I found some Labradorite on the north side of the creek on the first road headed north to the quarry. 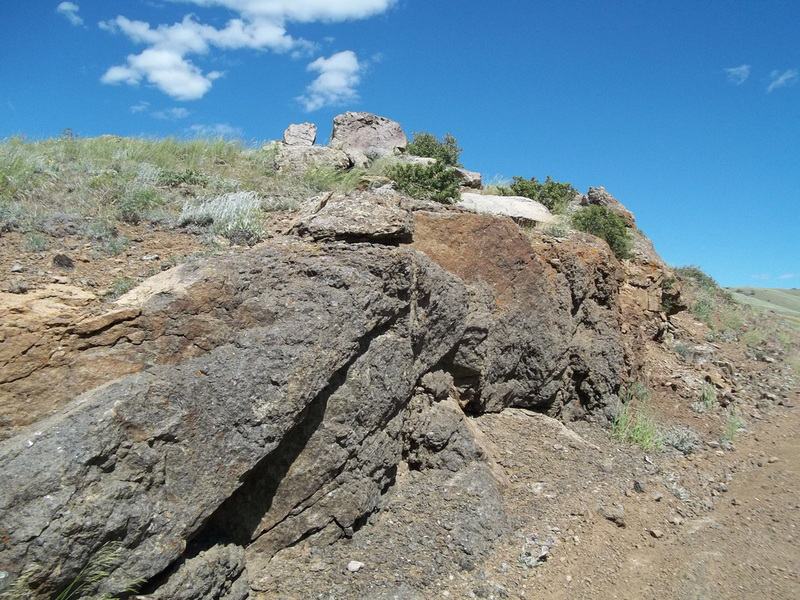 Following Sybille road on I found the large outcropping in the above photo, which is on the county road right of way. The above photo is the first chunk of feldspar containing Labradorite I found in the fill across the creek. 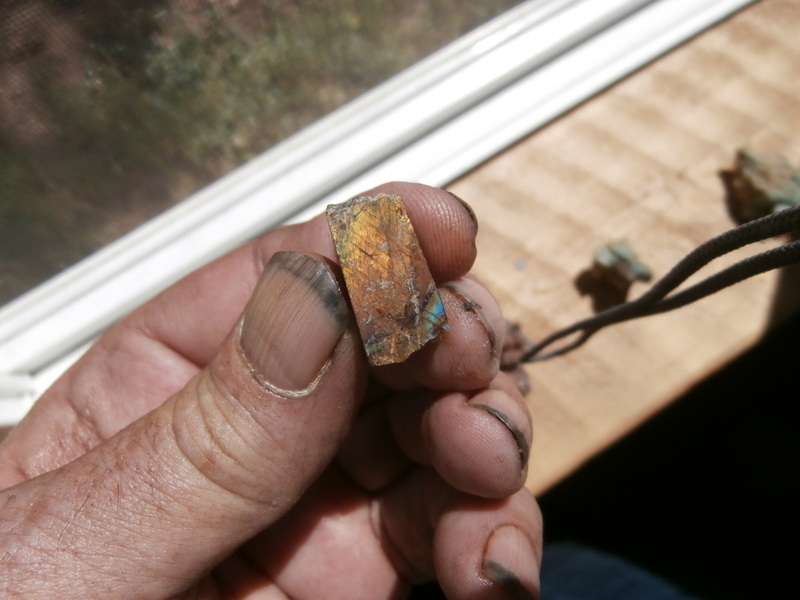 The photos below are of one of the crystals I broke out of the feldspar matrix. 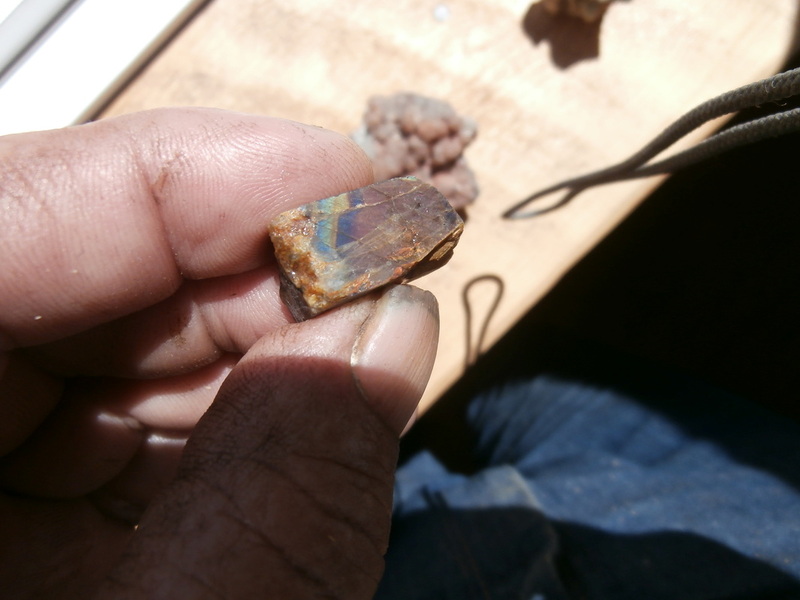 The feldspar found at this location is very interesting, it is a challenge to figure out how to get the crystals of Labradorite out of the matrix - the other minerals that surround the Labradorite. Some of these crystals you have to get just right in the light to see the colors. 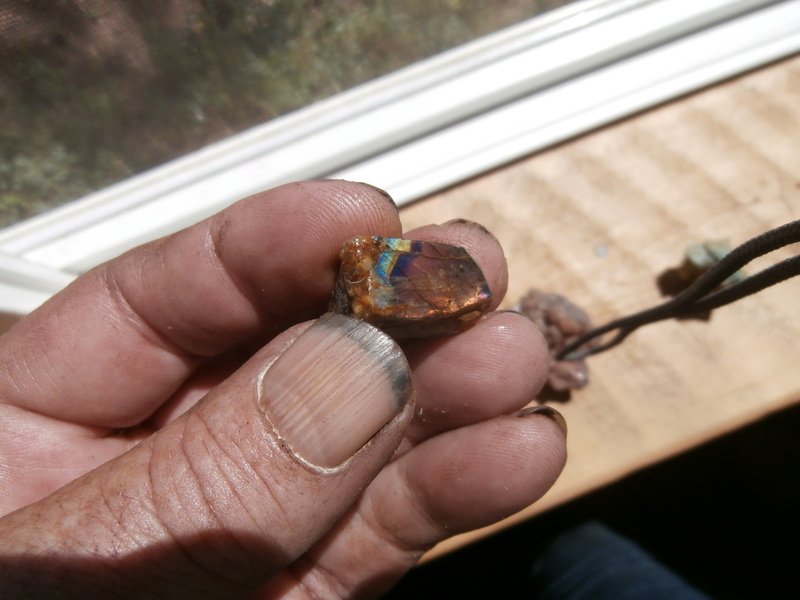 The Labradorite I found, is not a high quality, but the trip is a lot less expensive than flying to Labrador. Perhaps if one sends more than six hours prospecting in this area you might find a better deposit.